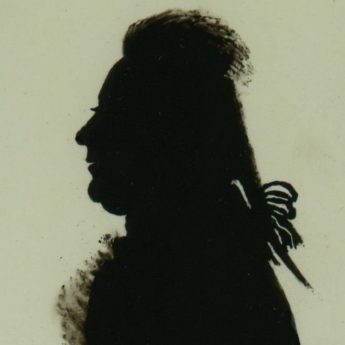 A striking bust-length silhouette of a gentleman in a bound pigtail wig tied with a ribbon bow that is typical of the 1790s. He is wearing a buttoned coat over a frilled chemise. 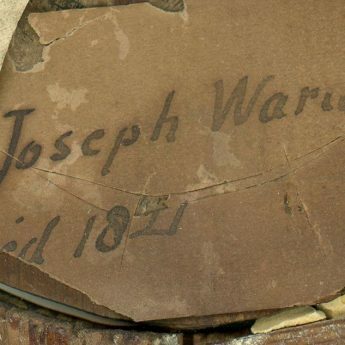 An old hand-written label on the back names the gentleman as Joseph Warn who died in 1821. 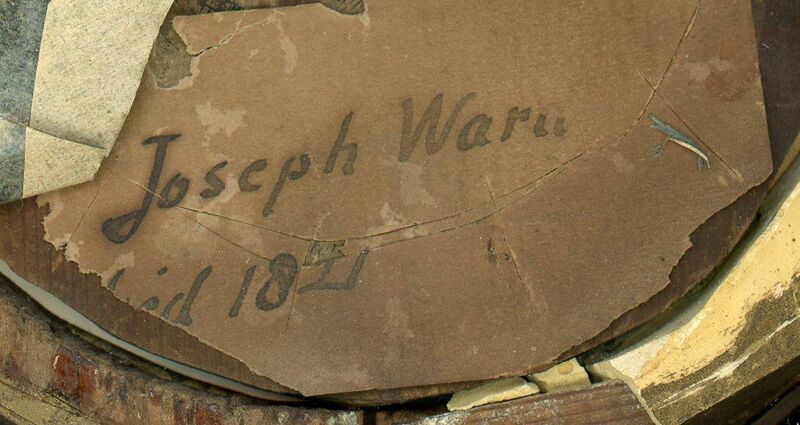 Geneological research has so far failed to trace any details for him. 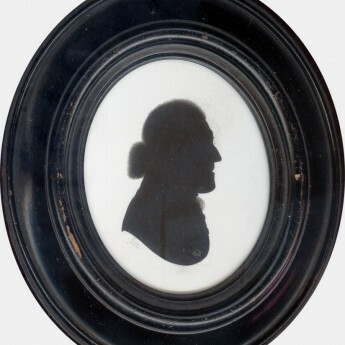 One of Rosenberg’s larger-sized black profiles painted in a pigment composed of pine-soot and small-beer, it is reverse painted on flat glass backed with card and is housed in the original hammered brass frame backed with the artist’s trade label no. 2. 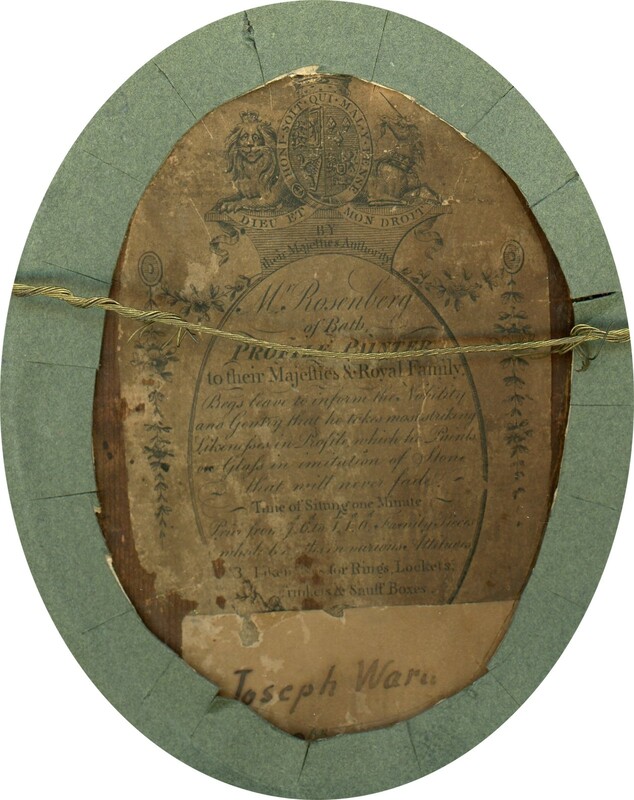 The frame has some damage at the top that includes the loss of the original hanging ring. 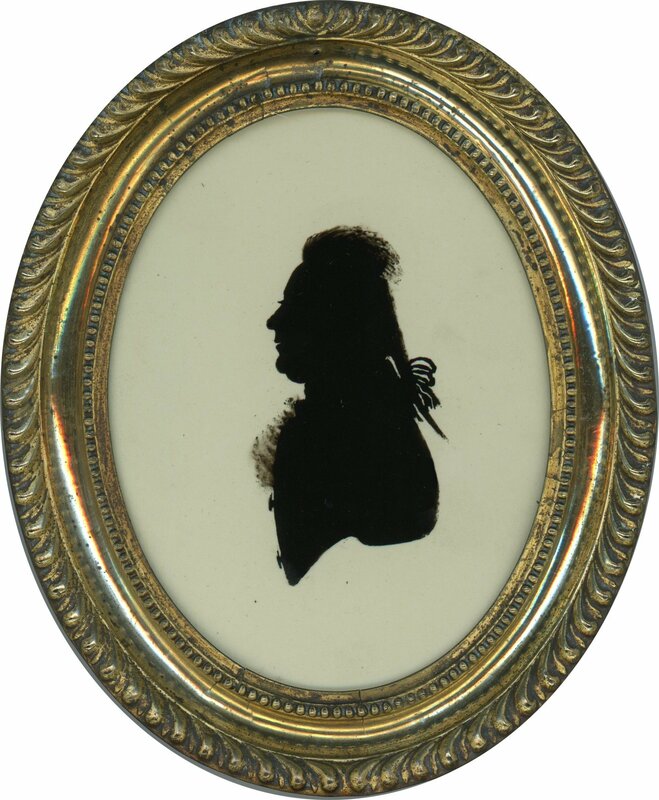 Austrian-born, Charles Rosenberg (1745-1844) is thought to have come to England in 1761 as a fourteen year old page to Princess Charlotte of Mecklenburg-Strelitz when she arrived to marry King George III. 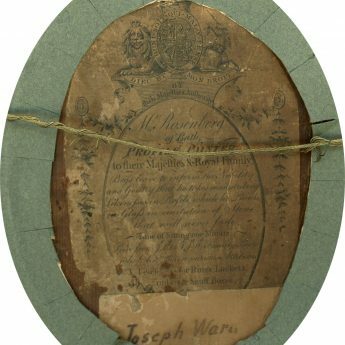 As a favourite of the King’s, Rosenberg was promoted from page to King’s Messenger and this connection may explain why he enjoyed royal and aristocratic patronage throughout his career as an artist. 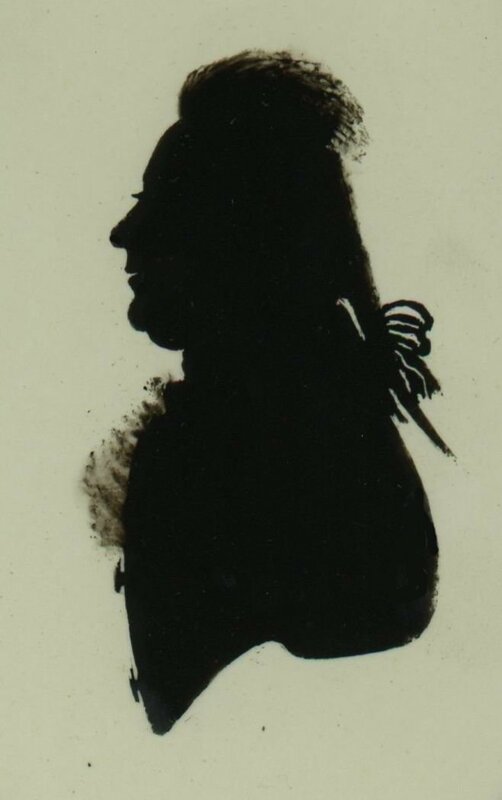 He settled in Bath marrying a Miss Wooley at Bath Abbey in September 1790 and settled down close to the fashionable ‘Walks’ and Assembly Rooms, becoming one of the most successful silhouettists of the period.